On the bright sunny day, the spirit of sportsmanship was in the air. 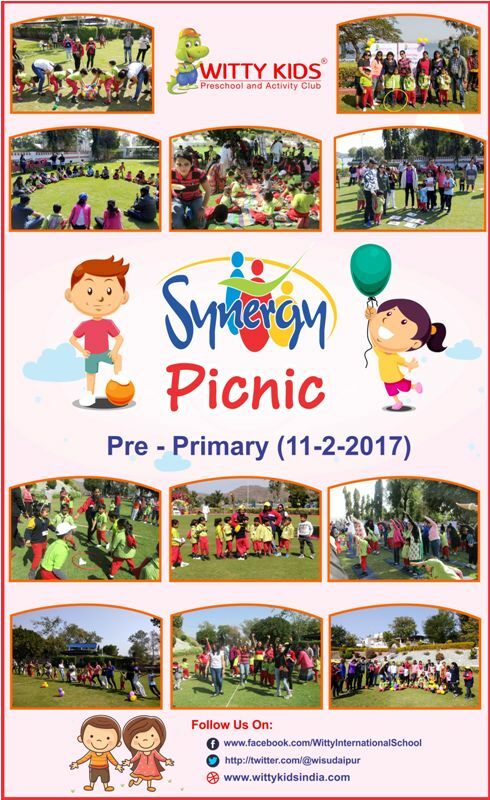 Today the little Wittians of Pre-Primary from Witty International School Udaipur, walked in with a zealous fervor, accompanied by their parents for the Synergy Picnic 2016-2017, organised at Rani village. 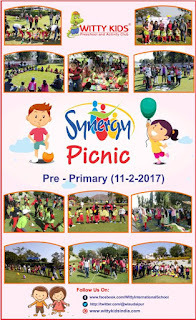 The Synergy had a refreshing start with a Yoga Session.Thereafter, kids along with their parents participated in various games like passing the parcel, dog and the bone, tug of war and so on. While all the childhood memories of parents were revived, the little ones were made aware of the importance of active participation. The picnic then marked it's end with a nice pot luck snack time wherein our dear parents contributed by bringing healthy snacks for everybody. All kids waved us goodbye for the weekend after collecting the participation certificate.